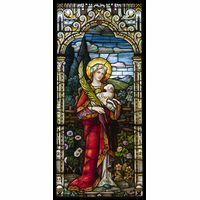 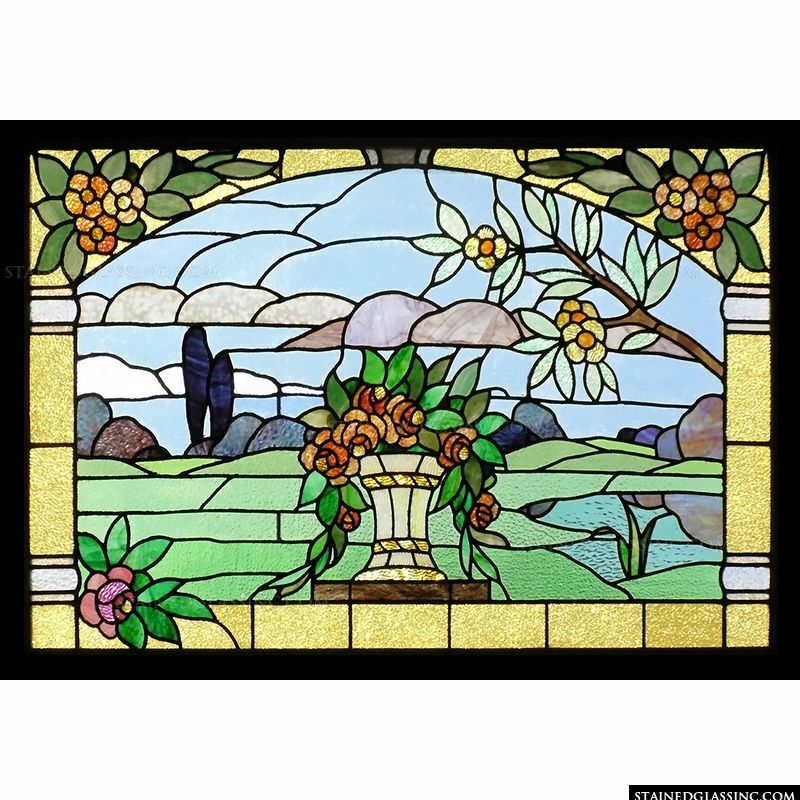 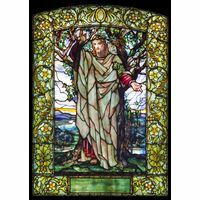 Rolling hills and mountains are the background of this beautiful landscape stained glass panel. 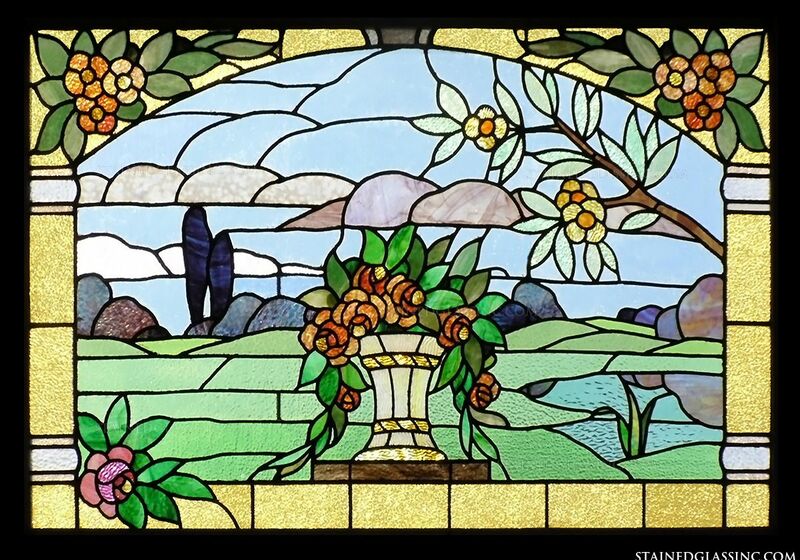 Flowers and columns form the border and a vase of roses stands in the foreground. 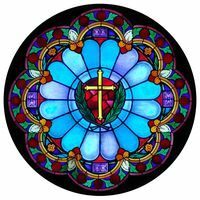 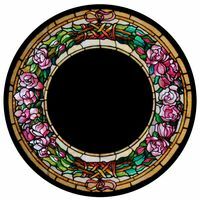 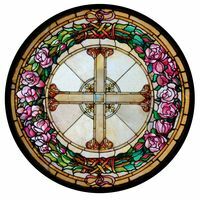 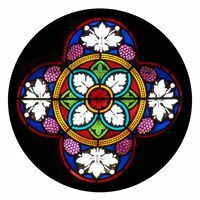 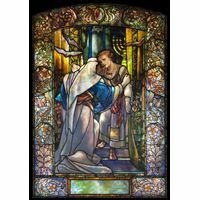 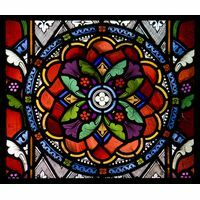 The colors and design fit together beautifully to form this lovely piece of stained glass art.